Those of you who want a Golden Retriever but aren’t ready to go through the trials and tribulations of a puppy, should look into adopting an older Golden. Older Golden Retrievers are mature, and prove to be great in homes where they need to spend a quality amount of time by themselves. They are a very adjustable breed, being good tempered. No matter how old the Golden may be, he will quickly become a valued member of your family in little to no time at all. Many times, breeders will have older dogs for sale. There are several reasons for this, which include show dogs that have lost their potential, studs that have been used for breeding, female Golden’s that have been bred a few times then retired, or other types of special conditions where a breeder is helping a friend get rid of his Golden Retriever. There are other reasons as well, although whatever they may be - the adult Golden Retriever will be available for anyone who wants him. Most older Golden Retrievers are already housebroken, and known a lot of behavior patterns and how to adapt to a new and loving family. Although it will be a little hard on your new dog at first, if you give him plenty of love, attention, and patience, he’ll be just fine. You need to keep reassuring your new Golden on a regular basis, and let him know that you are his new owner and that you love you and you are glad he’s a member of your family. If you have been thinking of adopting an older Golden Retriever, you should make sure that you learn everything you can about him. You should also determine his temperament, and whether or not it’s compatible with your family. You should also learn important things as well, such as his diet, likes, dislikes, daily routine, and his habits. Before you decide to take him, you should always make sure that the members of your family meet him as well, so you can talk it over and decide whether or not everyone wants the dog to be a member of your family. With an older dog, you need to take care of him for the first days, and let him know where everything in your home is. You’ll need to show him where he sleeps, where he should use the bathroom, and where his food is. Take your time and be patient with him, as will normally take him a few days to learn how things in your home work. You should always give your new Golden Retriever at least a month or so to get used to his new environment, before you start his new obedience training. Even though your new dog may have some prior obedience training, you should still enroll him in a new class. This way, he can brush up on training and you can work with him to help him understand. Once you have finished training, he’ll understand your commands better and you and him will get along just fine. All Golden Retrievers, regardless of their age, love attention. 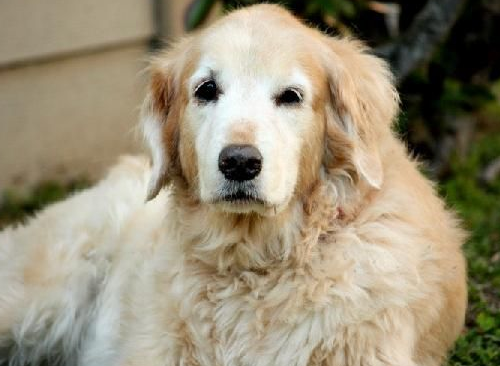 Older Golden’s on the other hand, may have medical problems that you aren’t aware of. You shouldn’t let this stop you from getting one though, simply because the rewards that you’ll find are far greater than any cons that may come to mind. Although many people don’t give a lot of thought to getting an older Golden Retriever - they are perfect for families who don’t want to put up the time and troubles of raising a puppy. 0 Response to "Adopting An Older Golden Retriever"